Experienced and amateur anglers can be separated by their choice of fishing lines. Most novices think that fishing lines are just minor components for fishing. However, if you want to have a successful tackle, then you need a quality line. Therefore, you got to have the best fishing line for spinning reels to serve you. Many assume that choosing a fishing line is easy. In fact, it is the opposite. There are a variety of fishing lines on the market today. Each of them has specific purposes and functions. Pick the wrong one, and you won't be able to make any successful catch! One of the fishing lines for best spinning reels is the Seaguar Blue Label Fluorocarbon. Since its release, this fishing line has captivated the market. Many anglers love the clarity and durability of Seaguar Blue Label. It can handle burly fishes and tough catches efficiently. 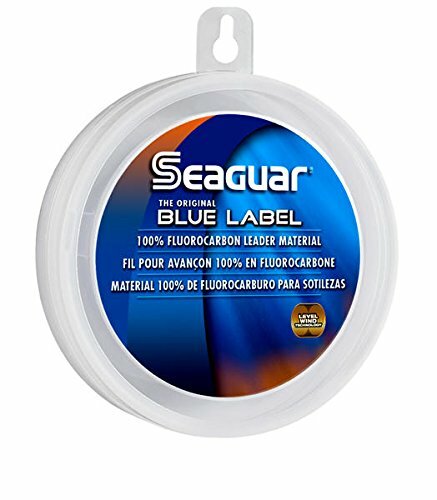 Because of its unique composition, the Seaguar Blue Label fishing line is highly smooth. It lessens the chances of backlashes because of its soft form. Despite this, any anglers can guarantee that this fishing line didn't compromise sturdiness. The Fluorocarbon is resistant to abrasions and other elements that cause deterrents. Therefore, this fishing line possesses the strength that is not present on ordinary mono lines. Similar to a braided line, the fluorocarbon has a high-pressure rating while preserving a minimum diameter. Meanwhile, the clarity of this fishing line is truly superb. It is almost invisible when it goes down in the water. It has a unique composition that refracts light efficiently. In fact, its refraction capability is better than mono lines! You can guarantee that the fish won't be able to detect the presence of the line! Moreover, the Seaguar Blue Label is your best choice if you are looking for a leader line. The Power Pro is a braided fishing line that every angler should consider. The manufacturer of this fishing line has integrated the Enhanced Body Technology to improve its sensitivity and roundness. With these characteristics, the Power Pro can fit into any spinning reel! The Power Pro comes in three different colors to match your fishing environment. It can also handle a variety of pound tests. Both freshwater and saltwater anglers will benefit from these features of Power Pro fishing line. Specifically, this fishing line uses four strands. Each of them is constructed with ultra-thin Spectra fibers. Before the braiding process, the strands of Power Pro fishing line were coated. This innovation alone improves the physical profile of this product. It became more durable and thinner than conventional braided lines on the market. Because of this, the Power Pro is indeed easy to use. Hooking a variety of lures won't be a problem for this fishing line! Moreover, the Spectra fibers give this fishing line the tensile strength it needs. It can guarantee you that this line will always be at its top form. This component enables the line to withstand extreme stress and other fishing challenges. Daiwa is among the top brands for fishing lines and other related products. They have manufactured some of the tested-and-proven fishing lines in the market today. However, it is the Daiwa J-Braid fishing line that caught the attention of many anglers. The Daiwa J-Braid fishing line is perfect for spinning reels. However, this line is also compatible to baitcasters as well. Specifically, this fishing line is suitable for a variety of lure casting techniques. Such of these are light tackles and beach fishing. Moreover, the Daiwa J-Braid has an excellent line management. It can do long casts while preventing any knots. This fishing line has a smooth and round profile. Spooling it in your fishing reel is never a problem. In fact, it is one of the best fishing lines for spinning reels because of such feature. Meanwhile, the superb casting distance of this fishing line is further improved by its thin diameter. It is super flexible and can handle a variety of stress in the waters! Despite its thin frame, the Daiwa J-Braid fishing line is incredibly strong. 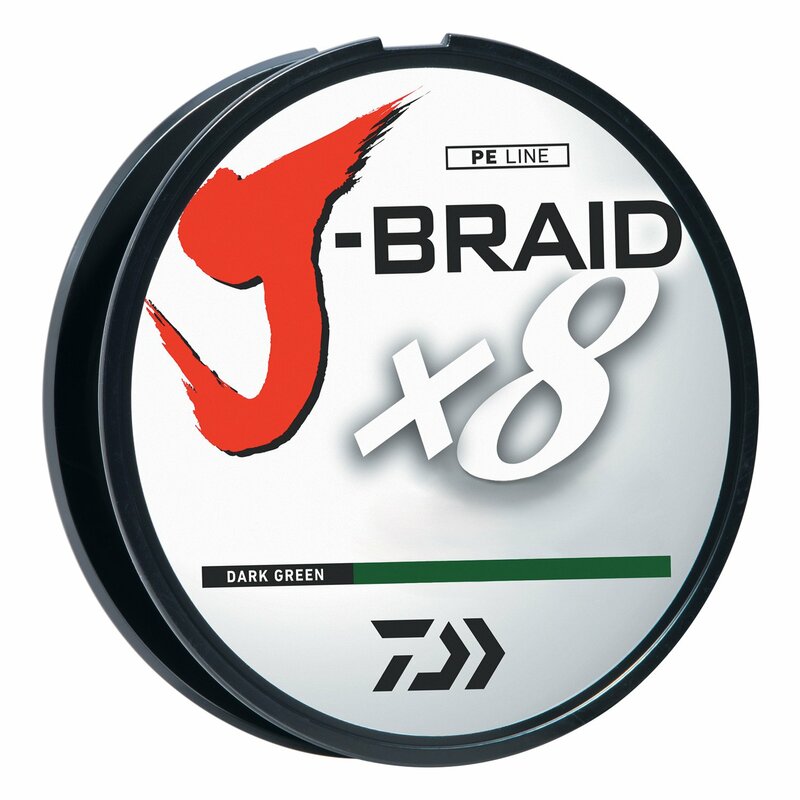 Specifically, the Daiwa J-Braid is available at 6lb to 80lb strain capacity. This performance will allow you tackle burly and strong fish. It also possesses an anti-abrasion feature. With this, you can be sure that it won't break anytime soon! It is also worth saying that this fishing line is integrated with fluorocarbon elements. Therefore, it becomes nearly invisible in the water. 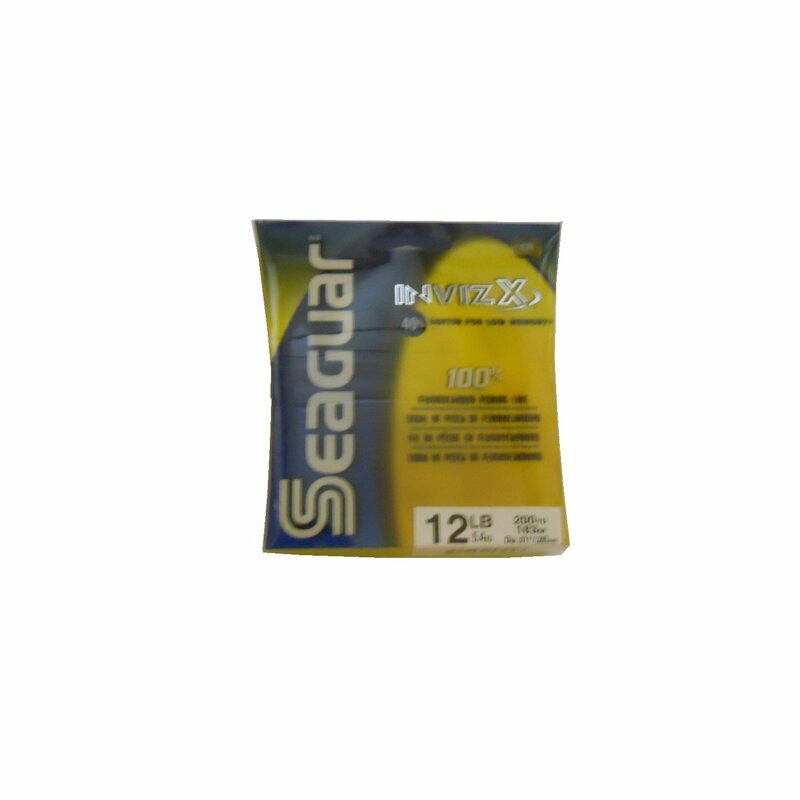 One of the most effective fishing lines in the market today is the Seaguar Invizx. It has a perfect balance between smoothness and durability. It doesn't break easily, even if you use it throughout the entire fishing season. The biggest selling point of Seaguar Invizx is it does not retain memory. When you use it, you will feel that it is like a monofilament. Regardless if you are using a baitcaster or a spinning reel, the Seaguar Invizx always spoon smoothly. It doesn't coil up, which reduces the chances of backlashes. 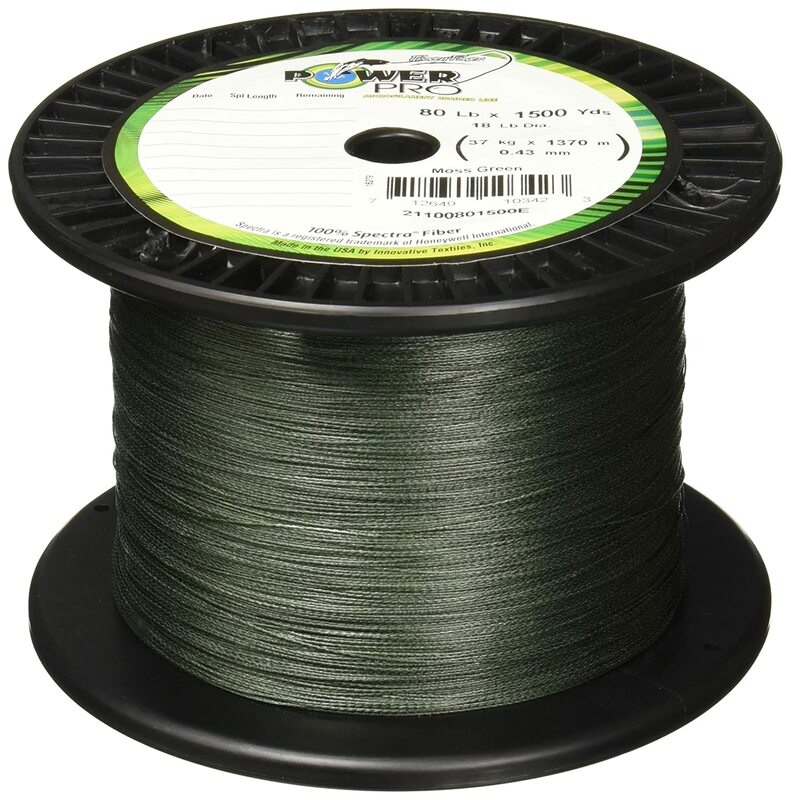 The smoothness of this fishing line improves its seamless line management. It will let you focus on fishing and fishing alone! The Seaguar Invizx sticks on the spool tightly. This design allows you to cast it on great distances without any backlashes. You can even do bomb casts without worrying about backlash! In fact, you might have to decrease the tension of your gear just to accommodate the casting capacity of the Seaguar Invizx! This fishing line is resistant to abrasion. It also does not stretch too much, even after a grueling catch. Therefore, its strength and durability are top of the line. Whether you are flipping or cranking, the Seaguar Invizx won't stretch easily. Moreover, it also exhibits near invisibility on the water. This feature is perfect especially if you are catching on clear waters. The P-Line is among the easiest fishing lines to cast. 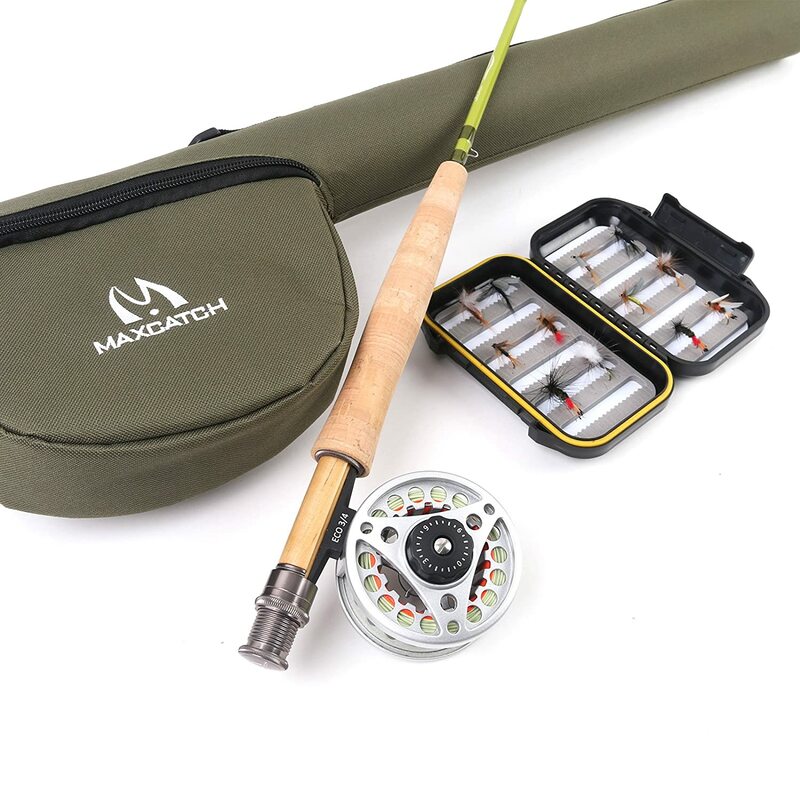 It can definitely serve any anglers on a variety of purposes, whether it is a small game or recreational fishing. 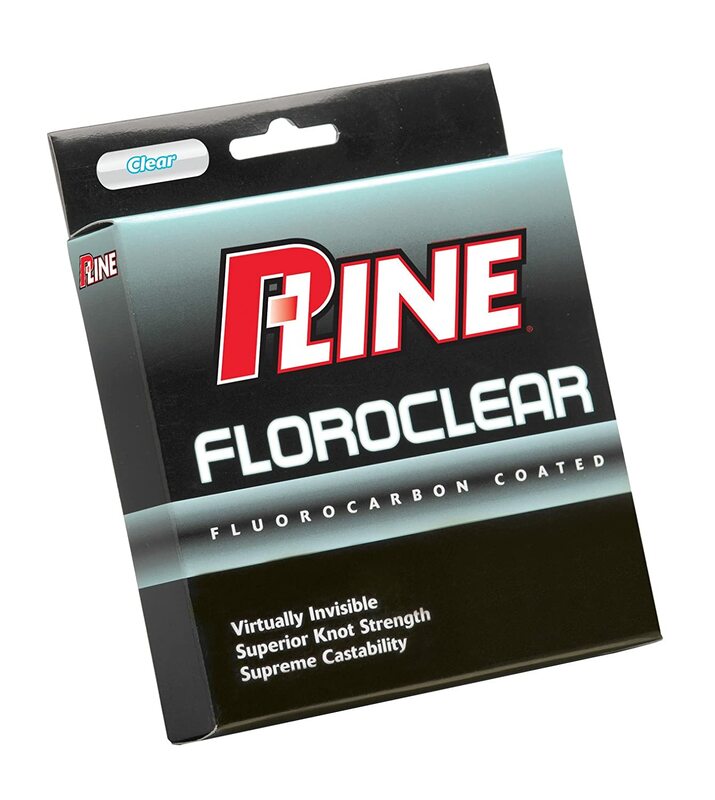 One of the key attributes of P-Line is its Floroclear copolymer. Because of this component, the fishing line exhibits the best characteristics of both fluorocarbon and copolymer. Therefore, it is easy to cast and invisible at the same time! The line management of P-Line is pretty decent. It doesn't retain too much memory, which prevents the possible burdens of spooling. Meanwhile, the knot strength and abrasion resistance of this fishing line are impressive. Unlike pure fluorocarbon lines, the P-line can resist cold water without wearing down. It can also handle a variety of lures without any problem. Moreover, casting the P-Line is not troublesome. It doesn't suffer from loops that can be frustrating to many anglers. It is true that P-Line is somehow stiffer than a mono line. However, among the hybrid lines, this one is the most manageable. It got a gaunt frame of .18mm diameter, considering that it is a 4-lb line. Therefore, fitting it to any spinning reels will always be smooth. Meanwhile, you will be impressed with the durability of P-Line Floroclear. It can tackle energetic fish without stretching or wear off. Because of this, many anglers consider it to be the top choice when it comes to strong tippets. It can outlast extended fishing trips while still maintaining its top condition. The best fishing line is quite a subjective term. Every type of fishing will require a particular line. That's why we recommend you to read this buying guide. We included all of the essential and necessary details about fishing lines, which can eventually help you in choosing. There are three types of fishing lines available in the market today. They are the fluorocarbon, monofilament, and braided. Each of them has particular uses, advantages, and disadvantages as well. The monofilament is a fishing line that possesses a single strand of nylon. You can use a mono for a variety of knot styles. They are barely visible in the water, which makes them ideal for all-purpose fishing. The strength of a mono line is pretty decent. It is the cheapest among the types of fishing lines as well. It is highly flexible, which makes it easy to cast. However, a monofilament wears off easily because it doesn't have protection against UV rays and moisture. You will also be required to attach a thick line to provide it additional strength. Moreover, it is also notorious in absorbing water. A fluorocarbon is an excellent fishing line. It should be preferred over monofilaments, in most cases. They are extremely thin and are nigh visible on the water. They do not stretch too much as monolines, which is favorable for many anglers. You can use them for fly fishing rigs, too! Moreover, they are suitable for floating baits and lures. On the other hand, fluorocarbon is notorious for knot breaks. This usually happens when you don't tie them properly. They are your least choice for spinning reels, despite their compatibility. It is relatively expensive, too. In fact, it is the most expensive among all types of fishing lines. Also, it sinks fast in the water. The braided line should be your top choice if you have a spinning reel. This fishing line is comprised of braided strands, which are usually made from highly reliable polyethylene. Because of this construction, this fishing line is extremely solid. It is not susceptible to stretches, too. A braided line does not absorb water. This feature allows it to have an extended lifespan. It doesn't have memory retention, which prevents it from changing shapes. The greatest drawback of braided lines is their expensiveness. They are the most expensive among all the three categories of fishing line. Aside from that, there are no more apparent disadvantages for this type of fishing line. The best fishing lines for spinning reels are essential for every angler. Nobody can just catch a fish without a durable and reliable line. Even if you have an excellent spinning reel, a good fishing line will always seal the deal! You can never triumph any fishing expeditions without a reliable line. 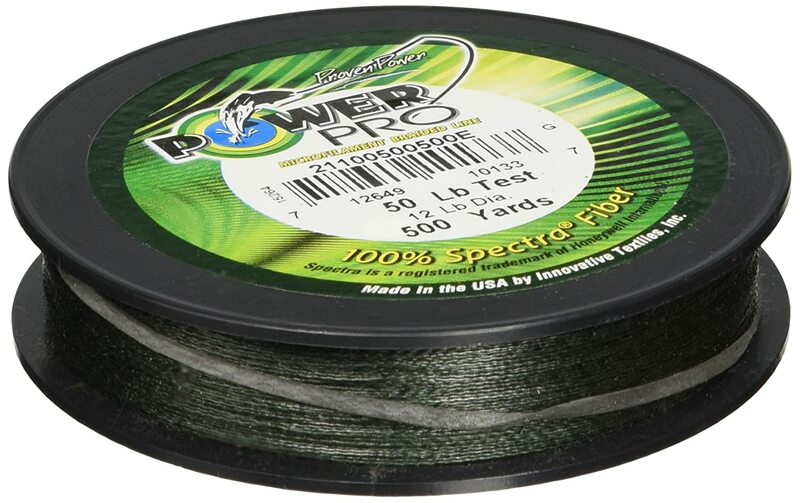 In our list, we declare the Power Pro Spectra as the best fishing line for spinning reels. It possesses extreme sensitivity and roundness, which lessens spooling problems. It can survive a lot of pounding without stretching or wearing. The Spectra fibers provide high tensile strength for this fishing line. Therefore, you can expect that this one can withstand a variety of stress. It is also manageable and highly durable, too! There are a lot of choices when it comes to fishing lines. However, before you try other brands, make sure you check out our recommended products first. Out of the dozens of fishing lines we tested, these five exhibited the best performance. We won't recommended them if they can't help anglers to make the most out of their fishing trips. Are there any differences between spinning line and bait casting line?